​Download Brochure to see how we can be of service to you. Using Art to Make the World a Better Place. Request a direct hands-on STEAM-Based residency which provides tools for a blending of math, science, literacy, technology, visual arts, as well as, project-based multi-ethnic and character development ​art-related activities. Work wilh me to get your students excited about the way science, math, creative writing, art and technology work in the real world. Together, we can get them to excitingly execute customized STEAM and creative writing projects utilizing graphic arts, textile design and computer technology and more! ​C r e a t i v e l y ! Madona Cole-Lacy's goal as a teaching artist, is to use art, culture and education as a vehicle through which society can develop and maintain self-esteem as well as cultivate racial/ethnic and ​generational tolerance and inclusion. ​Choose from a menu of creative hands-on instructional classes for life enrichment, ​all presented by a most widely sought after ​talented teaching artist on Long Island. art-related, empowering and educational. They foster appreciation, sensitivity, a sense of self, inclusion and acceptance of racial, cultural, ethnic and generational differences. ​Teaching Artist, Madona Cole-Lacy’s response to a need for solid cultural and social art-related programs for children, parents and educators comes in form of My Time Has Come Program. Mrs. Cole-Lacy, presents and facilitates art-related multi-cultural, STEAM-based educational programs and workshops which foster appreciation, sensitivity, sense of self, inclusion of, and tolerance to racial, cultural, ethnic and generational differences. 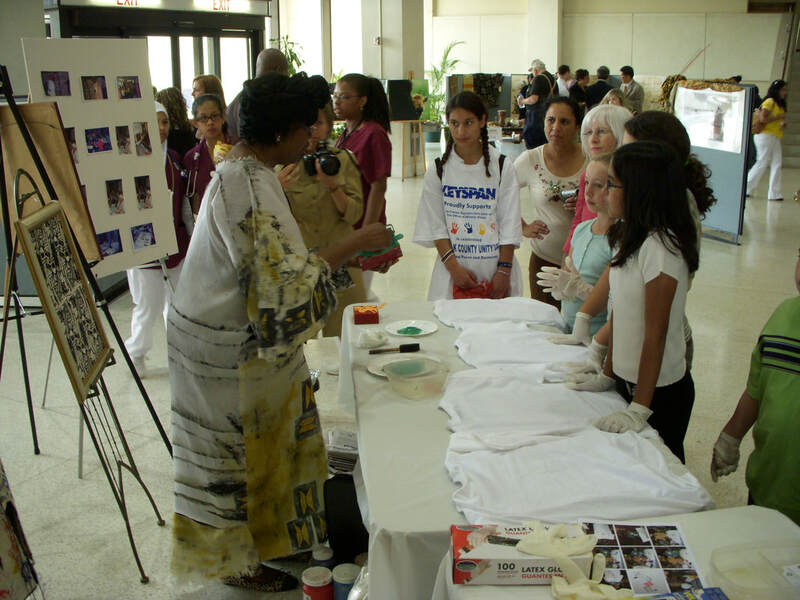 These programs are primarily offered in the form of hands-on surface design workshops, motivational workshops and multi-cultural presentations to people of all age groups in venues such as schools, libraries, cultural arts centers, senior centers and museums throughout the United States.